Av63. Dark red, 40% opaque. Big fruit at start, and string acidity, which fades, leaving some of the fruit. Later still showing the excess mid-palate acidity. Dark colour. Very sweet entry - initially thick but fades and thins quickly. Lots of unresolved tannin. Finish quite short. I recall thinking that this port promised far more than it delivered. The cork gave no indication of where this came from. Still has good color for its age. Still some fruit and tannins left on the palate. However, the tannins are holding better than the fruit which is worrisome at this age. Compared to the Morgan VP, this was lacking some complexity and character but still a solid bottle. dark, browinsih, ruby red and a slightly greenish rim; fresh nose; slight mint in taste; very long; it was revealed that this is supposed to be a lighter version of the Fonseca, potentially the young wines; brilliant stuff. Not sure what really the Avery 1963 vintage port consist of. John Avery probaly took the secret into his grave. Mid-red in colour, good depth being about 40% opaque. Gentle and attractive nose of pleasant strawberry jelly. Lovely elegance and texture on the palate. Perfumed fruit, with multiple flavours appearing and changing on the palate, supported by surprisingly robust tannins on the late palate. 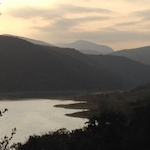 Gorgeous elegance, with a very long licorice root finish that is just full of fruit. A really fine port. 93/100. Drunk 11-Oct-13. Decanted 6½ hours. 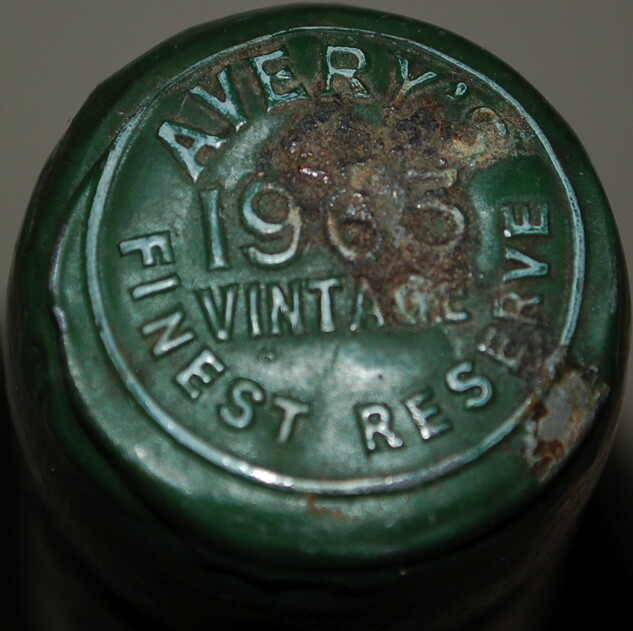 WS1 wrote: Not sure what really the Avery 1963 vintage port consist of. John Avery probaly took the secret into his grave. [url=http://vinoremus.blogspot.co.uk/2012/06/formal-hall_05.html]here[/url], someone wrote: Update from Avery's Wine. In 1963 Avery's made six pipes of their Special Reserve Vintage Port which was blended from 1 pipe of Taylors, 2 pipes of Fonseca and 3 pipes of Sandeman. Apparently this blend was subsequently very highly rated by various wine writers and critics. Quite right too, I might add. Many thanks to Duncan Pilbeam of Avery's for the information. Thanks RAYC - that's fascinating info. The 63Avery was my wine of the weekend, IIRC. I was very impressed, and felt that this went toe-to-toe against the Fonseca, with more...flair, somehow. More resolve. At some point I got it confused with the Adams, but I think I have the straight now. Farr had been offering a case of this wine for <$100 per. That is now gone, , but I have left in their stock a remaining 9 bottles. If they're still for sale this time next week, I will clear those away as well. To my knowledge, members of this board have been responsible for the disappearance of at least 33 of those bottles! I just bought a case of these (awaiting delivery somewhere next week I expect), all of which seem to have very good to excellent levels! I can hardly wait to get one of these in my decanter (after letting the bottles get settled for some time to recover from the trip of course).